Time of Celebration – The festival is celebrated on 14th January on Makar Sankranti. Duration of Celebration – The festival lasts for one whole day. India is a land where tradition knows no boundary. Its rich culture is demonstrated through various forms like folk dances, festivals, apparels, cuisine and an ethical atmosphere filled with harmony and equal respect for all. 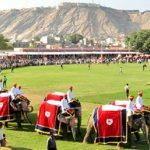 The city of Jaipur is known for its fairs and festivals where every festival is celebrated with the same zeal and enthusiasm. The uniqueness about this semi desert city is that every festival has something to share. They come with their respective significances. At times for welcoming a season or bidding adieu to a season, wishing long life and good health of the spouse, praise the Lord, worship trees and animals in the form of God or anything else. 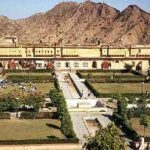 These fairs and festival makes a holistic environment and reflects the rich heritage and art of Rajasthan. 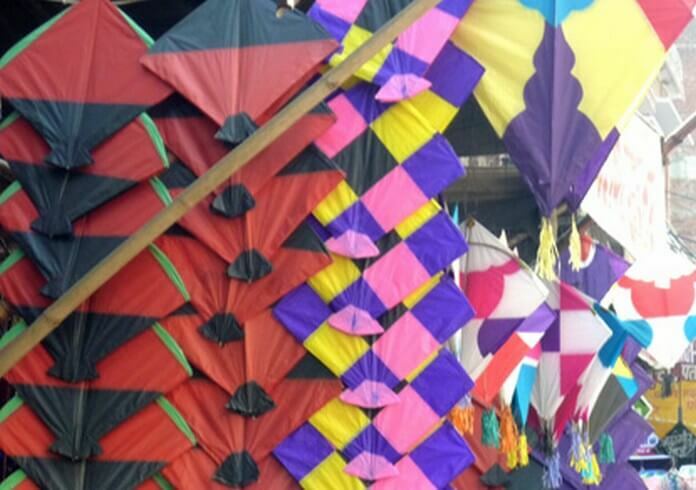 Of the numerous festivals celebrated throughout the year, the Kite Festival has a special place in the hearts of all. And why won’t it be? The beautiful sky brightened up colorful kites hovering all along is a sight to behold. This festival is celebrated with the highest prom and grandeur in Jaipur and Jodhpur. The kites-with-lights are also flown to the sky and make it look all the more mesmerizing. It is in fact a festival of all kite lovers, irrespective of the community or religion they belong to. The wonderful Kite festival is observed on the day of Makar Sankranti or Uttarayan as per the Georgian calendar. It generally falls on 14th of January every year marking the transition of sun from dhanu rashi (Sagittarius) to makara rashi (Capricorn). This transition is considered auspicious by the Hindus. Well, Uttarayan or northward journey of the sun starts on the day of Makar Sankranti. The local residents take holy dip in Galtaji on this day. Galtaji is an important pilgrimage in the city. On the holy water they pray to the Sun God to keep them in good health and prosper in wealth and good crop. The pink city is transformed into beautiful 3D kite images in the sky, a motion picture in other words. The significance of this day is so huge that the government of Jaipur also declares this day as a holiday. Shopkeepers keep their shops shut and banks remains closed as everybody can think of nothing but kites. Various kite flying competitions are organized in different parts of the city. The International Kite Festival is organized by the state government for three days at a stretch. It is an open competition for kite lovers’ from across the globe. India is famous for its cuisines prepared during festivals. The women folk prepare homemade sweets known as Til Laddu and Til Papdi made of sesame seeds and share it among their loved ones. Other signature sweets are Gajak (Sesame Brittle) and Feeni (local Jaipur sweet made of fibres). 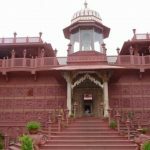 The festival is a reflection of the rich cultural store house of Rajasthan.